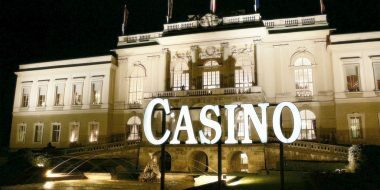 A Casino can be described as a facility that houses certain gambling activities. The games are played on tables and virtual platforms. The table games comprise the likes of blackjack, craps, roulette, and baccarat. The table concept is used to distinguish between the casino games being played on a table under the operation of live dealers like a croupier or poker dealer, from casino games which are played on a mechanical device such as a video slot machine. Casino table games have come a long way and date back centuries. Modernization has resulted in the advent of technology which has subsequently brought about the inception of online casino games which can now be played in the comfort of anyone’s abode. However, the real deal still remains the live table in a land-based casino which still attracts a majority of punters. 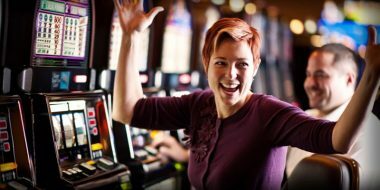 The land-based casino games still offer more in terms of conversations and challenges that ensue between fellow bettors, the friendliness of the croupiers, as well as the fun, tension, and euphoria that surrounds a betting environment. The games, on their own part, offer challenging experiences, as players are forced to rely on luck asides skill in order to end up on the winning side. We have done some little research and analysis and have arrived at these five most interesting Casino games that can be played online or in a land-based casino. Baccarat is also known as Punto Banco and can be described as a high stakes table game, which is often played in a room that contains only tables for the game itself, and separated from the rest of the casino floor. The game is very simple if new users put their mind to it. It requires the player to choose to either back the player’s hand, the banker’s hand or a tie. A player ends up winning if he correctly backs the best hand. The payout is a generous 8/1. Three Card Poker is a widely popular version of the poker game which requires that the bettor must have some influence on the final outcome of a hand. The player does a selection of his Ante Bet and receives three cards alongside the dealer. The player takes a look at the hand and decides to play by matching his Ante Bet, or fold by forfeiting his Ante Bet. If the player’s hand ends up being better than the dealer, they receive payouts on evens on both their Ante and play bets. 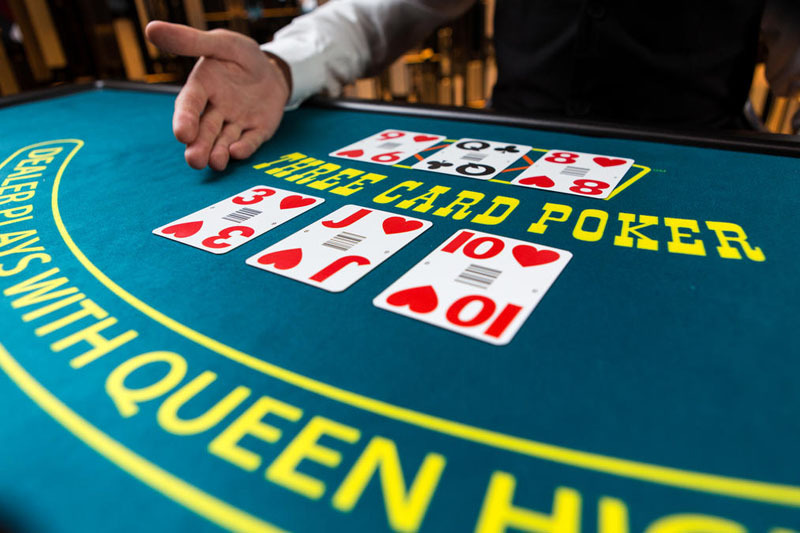 Another factor that plays a part is this; If the dealer doesn’t have a Queen-High or better, then only the Ante is honored while the punter gets a return of his play bet. 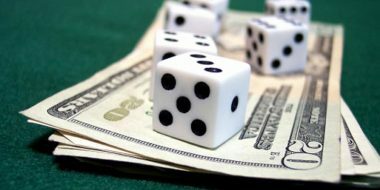 Craps offers some of the best odds in a casino and offers a chance to win alongside a good number of other bettors, although it can be a complicated table game. The game works like this at its most amateur level. One of the players rolls two dice. If the total is 7 or 11, everyone who placed a ‘Pass Line’ bet in favor of the shooter wins even money, but if the roll results in a 3 or 12, they lose their bets. Any other number aside the aforementioned ones results in a point. Other bets are available on a Craps table. 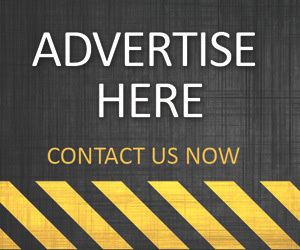 However, it is advisable that new users get abreast with the basics before proceeding to make more advanced wagers. Roulette has different varieties, mainly European and American, although the basic game is the same across all playing versions. It can be described as a pure game of chance, which is easy to play and suitable for newcomers. The European version comprises every number from 0 to 36 on a wheel containing half colored red and half black. The punter places a stake on where the ball will land, while the American version has two segments of zeros (0 and 00) which increases the house odds. Therefore, the European variety offers more monetary rewards for players. This is the most recognizable and most popular of the lot. It is believed to have originated from 18th century France. Its popularity is down to its simple rules, which requires a player to basically form a hand as close to 1 without going over the number which is a loss. It is suitable for all levels of experience. The players and the dealers receive two cards each, with playing options to stand (end turn), hit (take another card), double (double their stake and take another card), or split (split a pair into two separate hands) in an attempt to make the best hand. Blackjack basically refers to hitting 1 with two cards. The Ace and the 10/picture cards precisely. 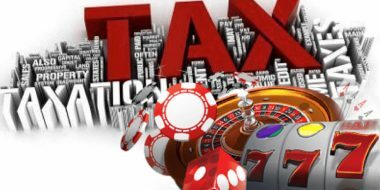 What Taxes Do You Need to Pay on Your Casino and Gambling Profits?